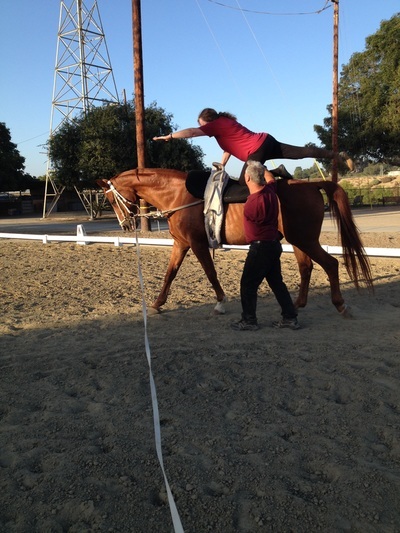 Valley View Vaulters is a non-profit 501(c)(3) organization founded in 1980, which teaches the sport of equestrian vaulting in a safe and inclusive environment. 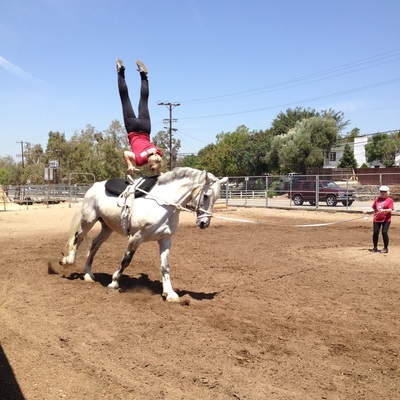 At Valley View Vaulters, all our students learn to vault together in classes that include all ages, abilities and/or disabilities of the same level. By vaulting together, we build teamwork, physical strength, coordination, discipline and self-confidence. 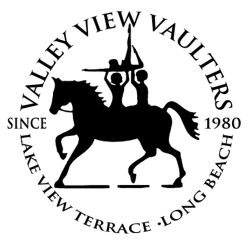 Valley View Vaulters was started in 1980, with seven vaulters, a practice barrel, and one horse. Since then, our program has been expanding at a fast rate, with one-third of the vaulters having special needs. 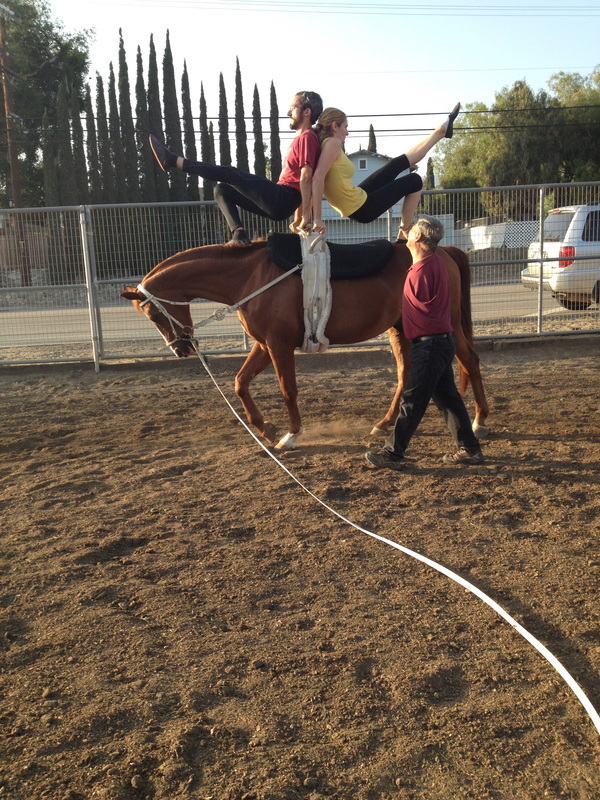 We now have four horses and two locations in Lake View Terrace and in Long Beach at Rancho Rio Verde. 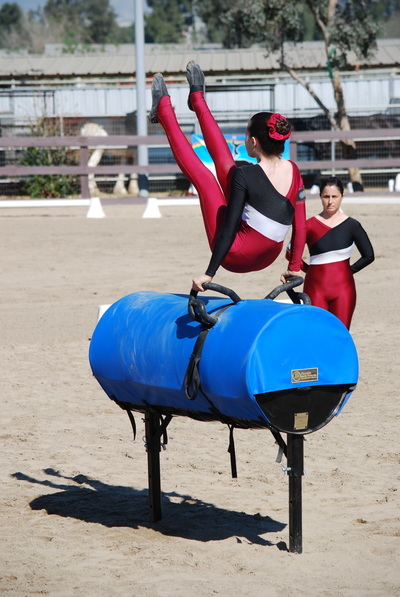 Our vaulters range in age from two years through adults, and range in skills from beginners to national champions. Vaulting is truly a sport that is accessible to everyone. You do not need to be a trained gymnast, have the grace of a dancer, or be a skilled equestrian. We love working with and training people of all ages and abilities! 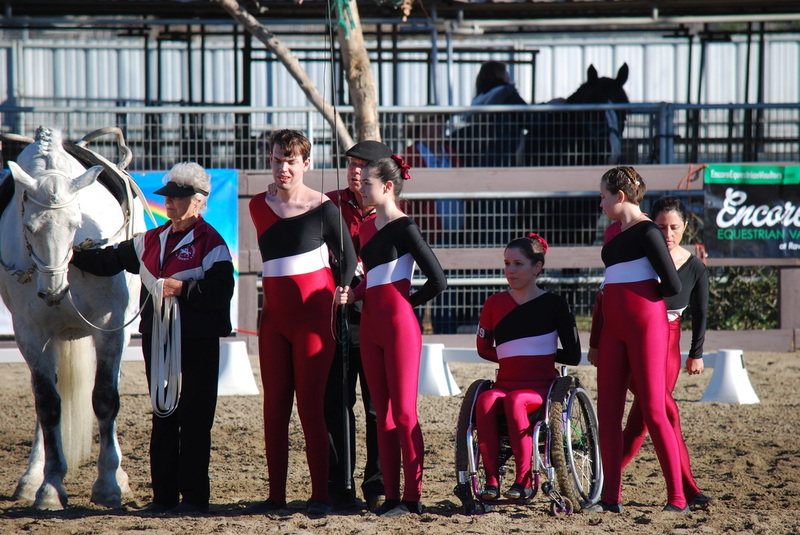 We are unique in that we are among the few mainstream, competitive vaulting teams that have both vaulters with and without disabilities participating in one inclusive environment, including those with physical/cognitive disabilities, behavioral problems and at-risk youth. 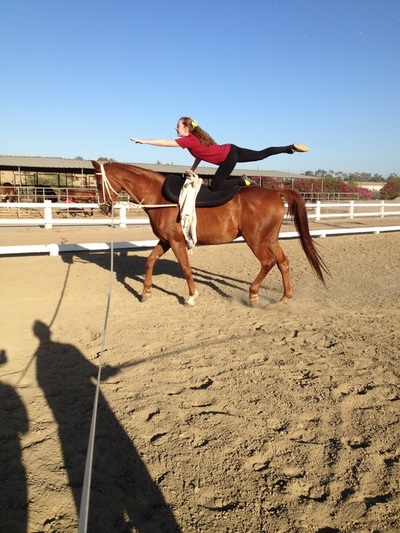 Everyone benefits when all abilities are included in the same class. Our classes consist of no more than 10 vaulters of all ages and abilities. 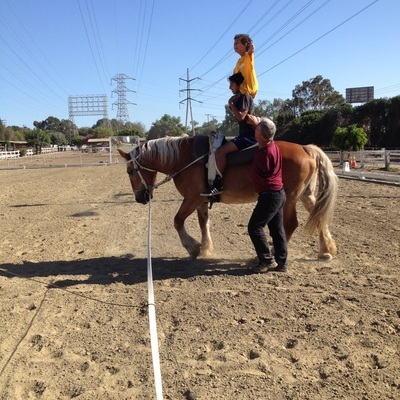 This small environment allows our vaulters to learn from one another and truly have the attention of Coach Rick and our volunteers. 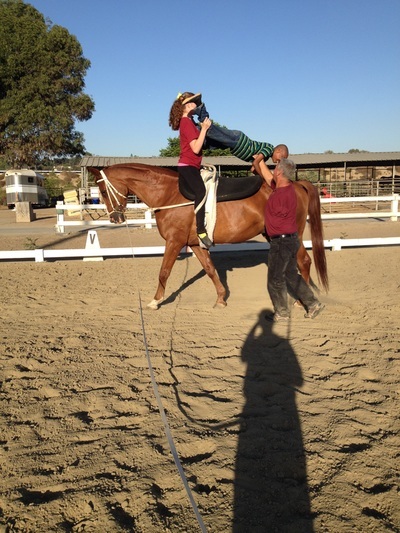 When guided properly by Coach Rick Hawthorne, vaulting becomes fun and builds up strength, self- esteem, and the necessary skills to work as part of a team with no barriers of age, gender or abilities. 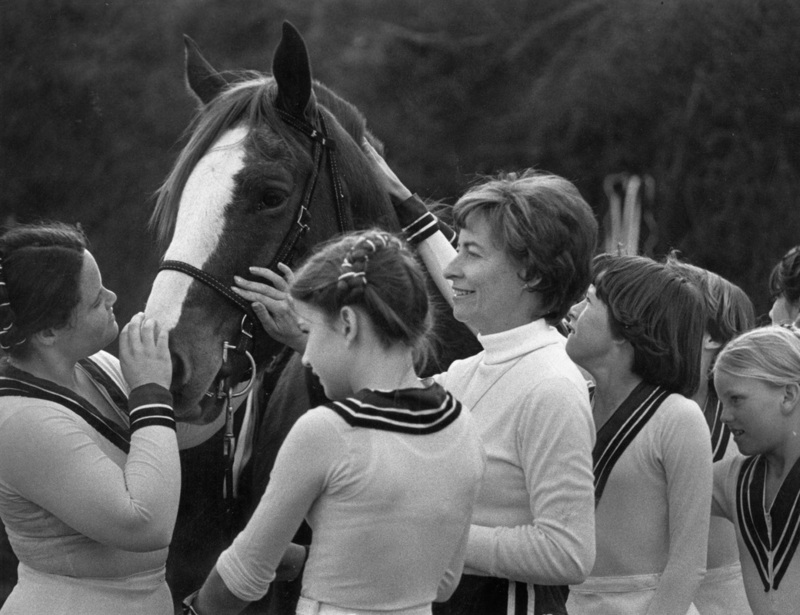 Click on thumbnails for slideshow. Teams. 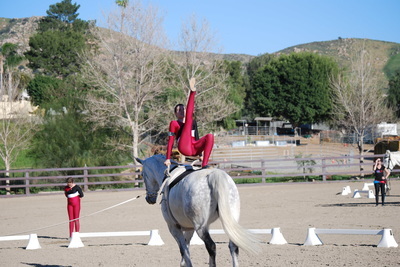 Additionally, our Individual Vaulters have earned 1st- 10th places in their division at the Nationals and have won Individual National Championships in Trot, Copper, Bronze and Silver Divisions. 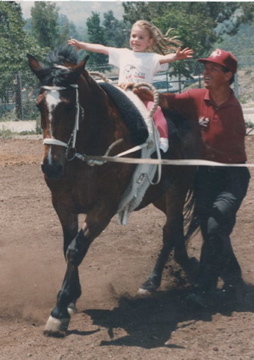 Over the years we have also earned three National Team Championships at the Trot, Bronze and Silver levels. 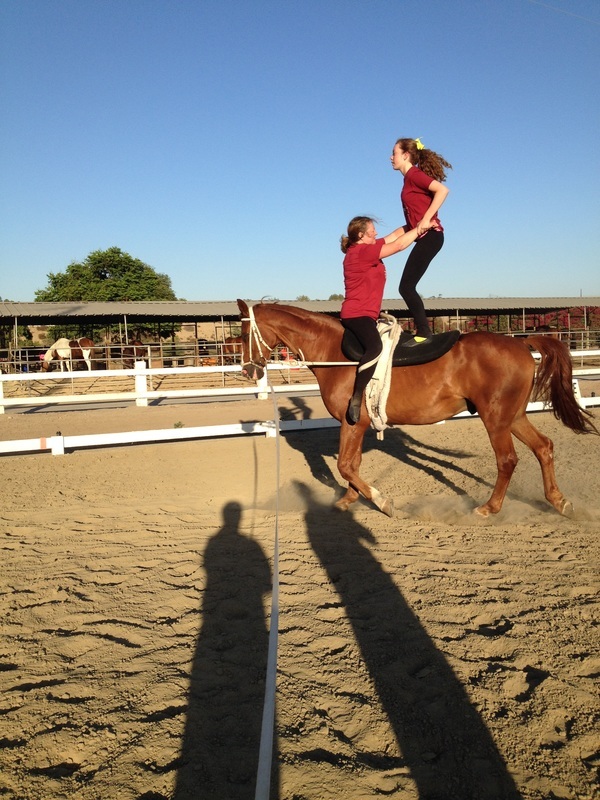 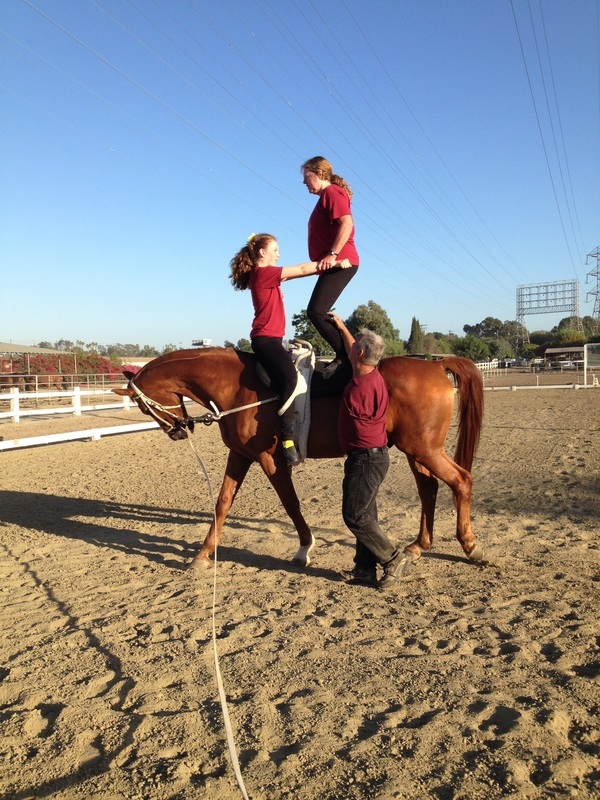 At Valley View Vaulters we make use of the horse as a learning tool which helps develop the best in our students. 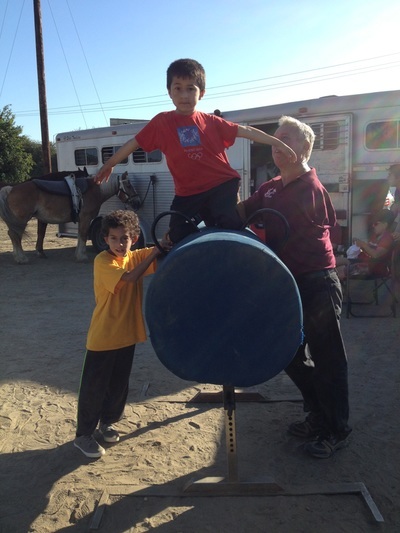 With our concept of working together, we take pride in teaching vaulting to people of all ages and abilities to walk, talk, think, make friends, increase self- esteem and lead more independent and productive lives. 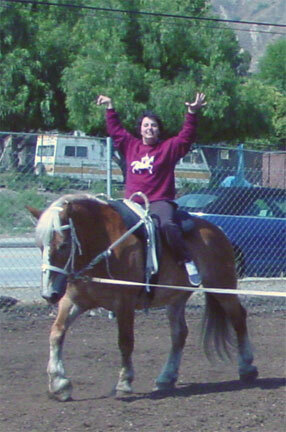 Most importantly, we have fun the entire time!